There’s a lot to be said for finding bootleg releases of bands you love — they can be great documents of moments in the band’s history that don’t appear in official releases. There’s also a lot to be said for getting records instead of digital downloads, between the tangible artifact and the often warmer sound. But I’m not sure there’s much to be said for getting vinyl of bootleg recordings from the late 1960s. 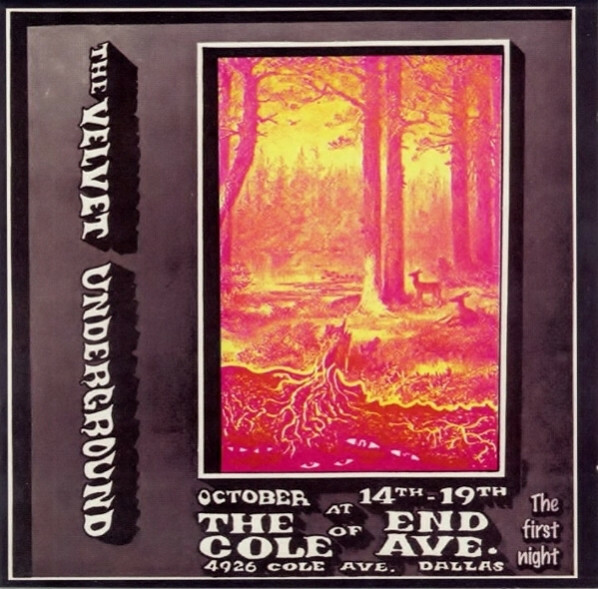 The Velvet Underground boot pictured above is a two record set recorded in 1968, between The Velvet Underground and Loaded. The Doug Yule version of the band is in full effect here, with John Cale’s drones replaced with the choogling multiple guitar work that characterizes both the official releases from this period (“What Goes On”) and some of the often-anthologized but never-on-official-LP release songs (“I Can’t Stand It”). The band is in good shape here. But the recording isn’t. Our bootlegger was standing too close to some of the speakers for some songs, or Lou’s vocals weren’t high enough in the mix, or something, and it’s hard to listen to the performance from start to finish as a result. I should have just looked for a download of the thing instead.